So what should you blog about when you’re blogging on your blog? Just like with any form of creative writing, blogging presents the challenge of generating ideas. This is especially true if you want to keep a steady flow of new content for readers. 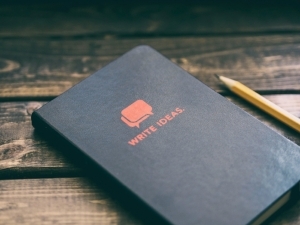 So how should you go about creating new ideas for blog posts? This article by Vicki Krueger on the Poynter website provides some examples of basic constructs that can be used to spark successful blogging. Read them, implement them, then bask in the glory of your awesome blog! Over at Jane Friedman’s blog, you’ll find some great advice on how to manage that internal negative voice that fights your creativity. Some guidance and resources on how to prevent fear from stifling your writing. Check out this interesting piece from Scientific American on where creativity comes from. Ira Glass shares some helpful thoughts on being creative in the video below.